Apple's CEO recalls his last days with Steve Jobs: "He was unselfish in the face of his own mortality." Monday, October 5, marks the fourth year anniversary of Steve Jobs’ death. He would’ve been 60 this year. 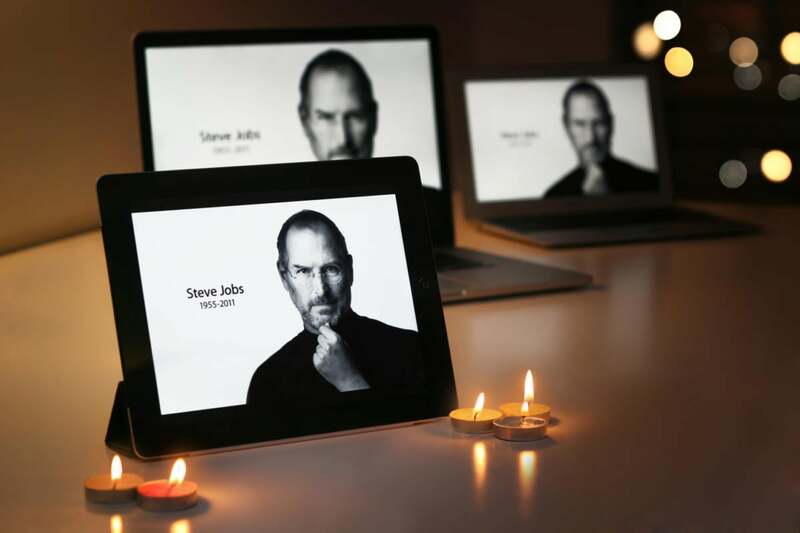 To commemorate Jobs’ life and legacy, several Apple executives, including Apple CEO Tim Cook, penned personal remembrances that were posted on AppleWeb, Cupertino’s internal news website. “He was unselfish in the face of his own mortality,” wrote Cook, recalling his last days with the iconic Apple co-founder. Cook shared how he had offered Jobs a portion of own liver for a donor liver transplant, but Jobs refused. Other Apple executives also wrote personal remembrances on AppleWeb, and subsequently transcribed by Mashable. Apple’s vice president of internet software and services Eddy Cue described Jobs as sometimes a brother, sometimes a father figure. Vice president of software technology Bud Tribble remembered Jobs’ artful vision when he took the original Mac team to a Louis Comfort Tiffany exhibit in San Francisco. Member of Apple’s Board of Directors Andrea Jung called him thoughtful and caring, “a true friend.” Senior vice president of marketing Phil Schiller recalled how Jobs’ happiness and pride would fuel the entire team backstage during the product events. The story behind the story: In the wake of several unflattering portrayals of Steve Jobs on the big screen, Apple’s top brass is hoping the Apple co-founder is remembered fondly. Danny Boyle and Aaron Sorkin’s long-awaited Steve Jobs movie hits theaters this Friday, October 9 in a limited release (with a full release across the U.S. on October 23), and early reviews suggest that depictions of Jobs’ personal flaws were not left on the cutting room floor. Movie critic for the New York Post Lou Lumenick wrote: “I came away with the feeling that the filmmakers were practically implying that [Jobs’] early death at 56 was some kind of karmic payback.” Ouch. Even those who haven’t seen the film and knew Jobs personally expected this harsh treatment from Hollywood. Jobs’ widow Laurene Powell Jobs apparently lobbied to have the film killed, according to The Wall Street Journal. When late night TV host Stephen Colbert asked Tim Cook about the movie, Cook called it “opportunistic,” a criticism that screenwriter Sorkin strongly contested. “If you’ve got a factory full of children in China assembling phones for 17 cents an hour, you’ve got a lot of nerve calling someone else opportunistic,” Sorkin told The Hollywood Reporter. The screenwriter has since apologized for his jarring response.